Stores your gold. Upgrade and build more for greater capacity. Protects your Gold from invaders. Level up to increase your maximum Gold capacity. 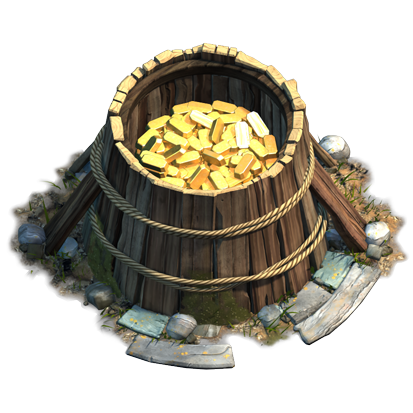 Excess Gold from the inventory will be lost if it exceeds the Storage's capacity.